Jeremy Foley, former athletic director at Florida, has declined to say what former Gators head coach Urban Meyer told him about assistant coach Zach Smith's domestic violence arrest in 2009. 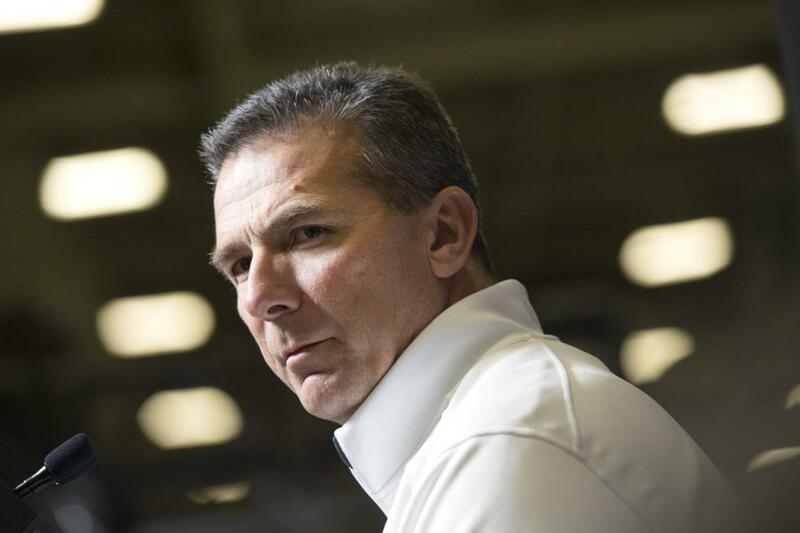 Meyer was placed on paid leave last week by Ohio State amid questions about what he knew and did regarding accusations of abuse made against Smith, who has been an assistant under Meyer at both schools. Smith was fired by the Buckeyes after his ex-wife, who divorced him in 2016, sought a restraining order against him. [post_ads]Per a report, a request was made to Florida officials for details on how Meyer and athletic department officials handled Smith's arrest 10 years ago. Foley, who is Florida's athletic director emeritus, declined comment through a university spokesman. Boston College and Marshall previously commented about what they knew before hiring Smith as an assistant. Meyer released a statement last week saying he has "always followed proper reporting protocols and procedures when I have learned of an incident involving a student-athlete, coach or member of our staff by elevating the issues to the proper channels." Smith was arrested in 2009 on a charge of aggravated battery on a pregnant woman, his wife. He was a graduate assistant on Meyer's staff at the time.